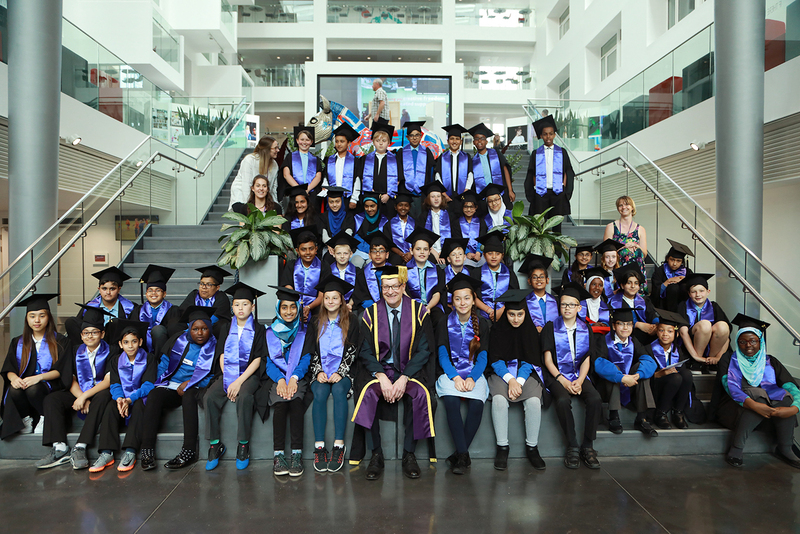 Children from Beechwood Junior School, Shirley Junior School, Moorlands Primary School, St Mary’s Church of England Primary School and Harefield Primary School were taking part in the Steps into Success programme – which aims to raise aspirations for seven to 16 year olds from the poorest parts of the city. Since 2015 the programme has engaged with 4,400 pupils. Solent university recruitment manager Tracy Edwards said: “Solent believes that every child with the ability to success should be able to take advantage of the benefits of higher education, whatever their social background. I do agree, however, there is also a selling point from the University to be aware of. I worked at one for 17 years and the scramble was on to get as many bottoms on seats on clearing days. Student numbers (according to UCAS) accepting places have grown by 1.5% this year and yet number of students at my local University have dropped by some 7000 places and with Brexit and the cost going up I would expect to see more places to go. So whilst I think this sort of project is good I do believe our young children should be given fair access to both University and Apprenticeships. The Step into Success programme gives the children the chance to access a variety of activities, events and competitions, designed to instil a passion for learning and raise aspirations. Pupils toured the university, asked the vice chancellor questions and played games. Great, however these children need to be aware of the different options.